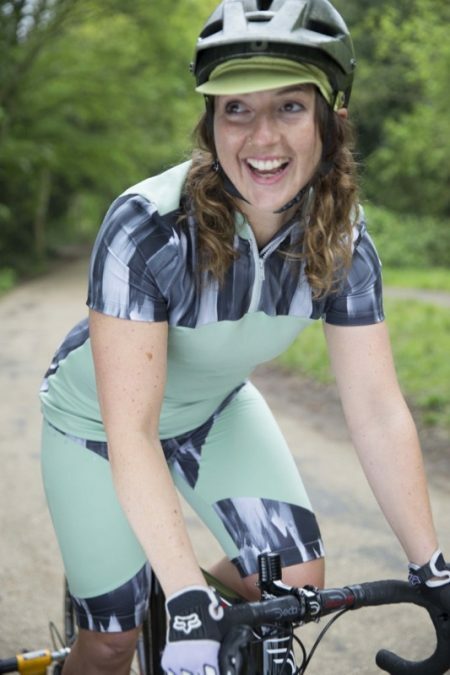 What’s an activewear book without some cycling kit? Not much of an activewear book, if you ask me, so I knew that I absolutely wanted to include some cycle-specific gear when I was developing the designs for my “Sew Your Own Activewear” book. I’d already developed a great cycling top (as well as all-around winter exercise and rashguard!) when I’d made my Surf to Summit Top pattern (also available for men! ), so I wanted to take some learnings from that and make the book design different enough that cyclists would want to make both! I designed the Split Shorts in my “Sew Your Own Activewear” book to have the greatest mobility possible to minimise the chance of the inseams riding up while running (a really common issue with running shorts!). These shorts do show a bit of thigh, but the back of the shorts stay close to the body, and the inseams really do stay put. In fact, they can be mistaken for a skort or running skirt while you’re in motion, and they look really feminine! 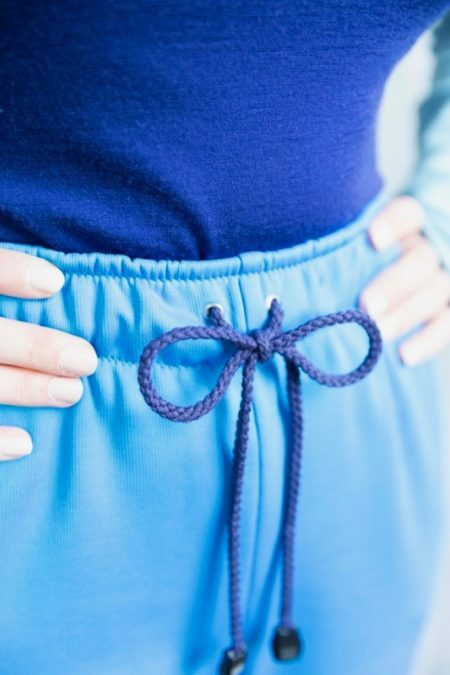 But some of you may find that the Split Shorts as drafted in the book are a little more revealing than you’d like, and the good news is that there are two easy ways to adjust for this! Note that by making these less revealing, though, you are limiting the mobility of the leg, so be sure to make incremental steps and sew and test your muslins along the way to make sure you can still move effectively in them. But if you’re planning to wear these for an activity that doesn’t require the extreme amount of forward leg motion needed for running, then modesty may be more important to you than the range of motion anyway! 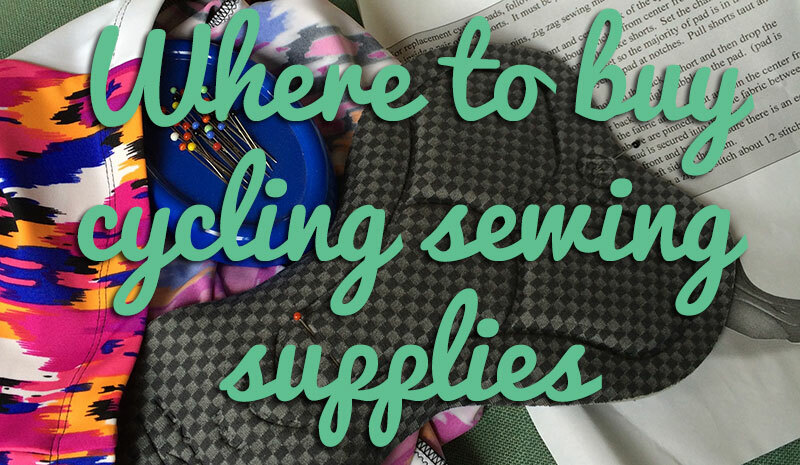 Today I want to give you a little pattern hack that can help if you find that the opening edge of your Active Jacket (or Cycling Top) from my “Sew Your Own Activewear” book is a bit too snug. This can especially be an issue for the smaller sizes, or if your fabric has very little crosswise stretch. 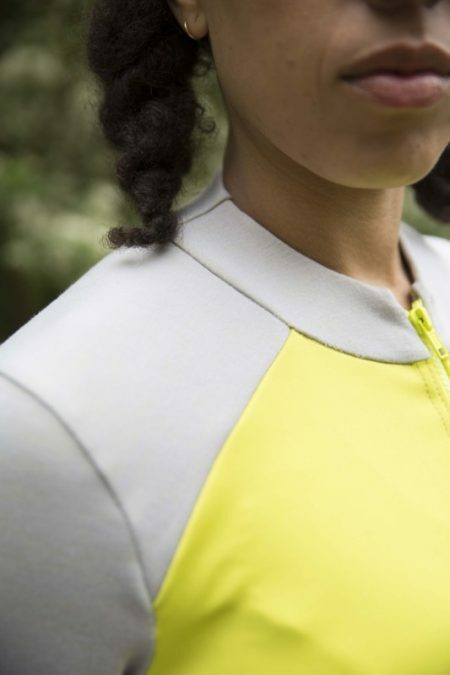 This is a really easy adjustment to make, either after you’ve drafted the collar according to the instructions on page 80 (or page 58 for the Cycling Top), or after you’ve already got your finished pieces cut out. So you might be thinking “Wait – haven’t I seen this jacket before?” and if you follow me on Instagram then you’d be right. Or if you follow this blog on RSS or by email, then you may also be right, as I’d taken these photos last fall but wanted to save the post until the book came out, and then accidentally made my draft post live when I added some tags to it (I do love Wordpress but it is WAY too easy to do that – on my old blog platform it was almost impossible to set something live accidentally!). But in either of those circumstances, you didn’t really get to see or hear very much about this jacket, but I am SO happy with it and bursting to share! 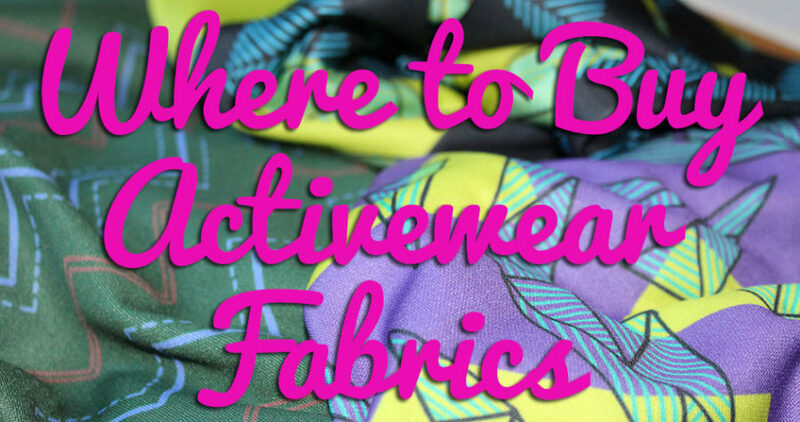 This week we’ll be talking about one of the most popular designs in my “Sew Your Own Activewear” book (that is, if your initial To Sew list intentions are anything to go by! ), the Active Jacket! I was so lucky that my publisher gave me absolute creative control with the contents and designs for this book, and I knew from the first conversations that I wanted to include a jacket of some sort. 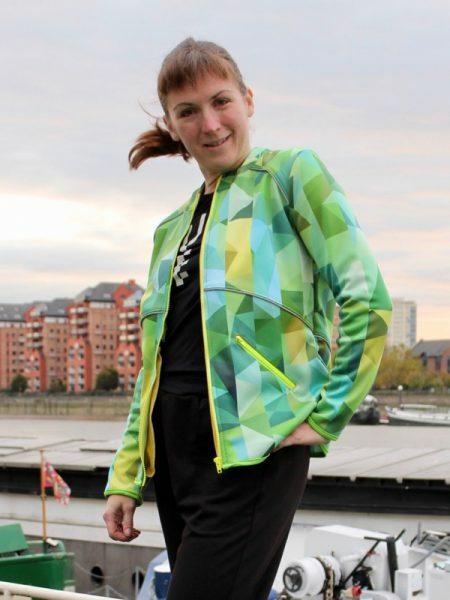 They’re the sort of garment I wear all the time, whether it’s on my cycle commute, marathon training, or just to wear after a race, but for some reason I never quite found the time to release a pattern for one. So the Active Jacket was born! We’ve had sub-zero temperatures and constant snow all week here in London (either one of which would’ve been a rarity – we usually only get a dusting once a winter and people still get excited to see snow falling) – so what better week to talk about the Warm Up Bottoms from my book! I originally wanted to include some sort of tracksuit trousers with ankle zips that could be thrown on for warmups when I compete in my track races, but then I had trouble finding the right fabric to meet my exacting standards, and the more I looked at my tech drawing, the more it said ski-wear to me, so these morphed into cold weather gear instead. The great thing about sewing is that sometimes you can totally change a garment’s use just by changing the fabric, so of course you can still make these for the track if you find the right fabric! I had more trouble naming this design than possibly any others in the book though – I had to keep all the names so that they’d work in both UK and US English, so that took out “pants” (as these mean underwear in the UK) and “trousers” (as these mean dressy pants in the US). And since these use the Loose Fitting block, I couldn’t really call them “leggings”, either! So I settled on Warm Up Bottoms since the name works both for warming up before a track race, and keeping warm on the slopes. And “bottoms” might make you giggle, but it’s unambiguous in all the English language variants as far as I know! 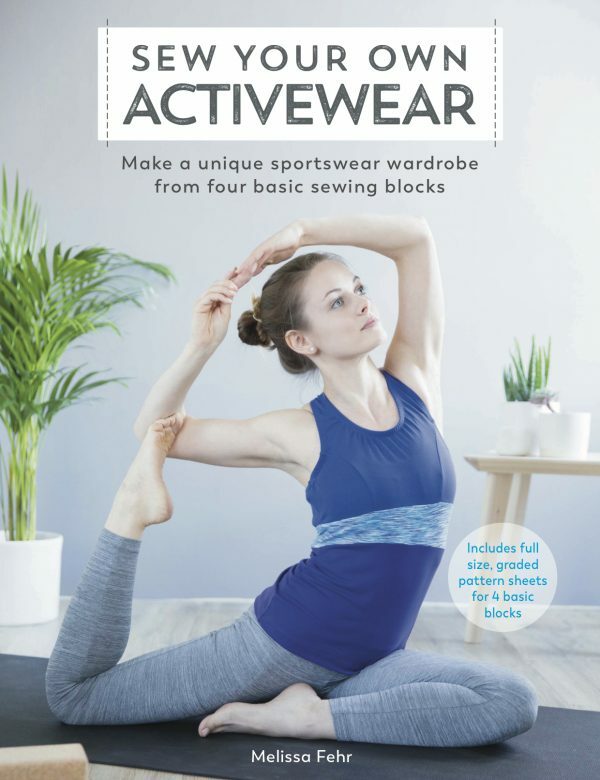 One of my favourite things about the block-based approach to the designs in my “Sew Your Own Activewear” book is that you can use just about any block patterns as your starting point – not just the ones I’ve included in the book. I’ve been waiting for weeks to share this particular design from my “Sew Your Own Activewear” book with you, and now seems as good as any! 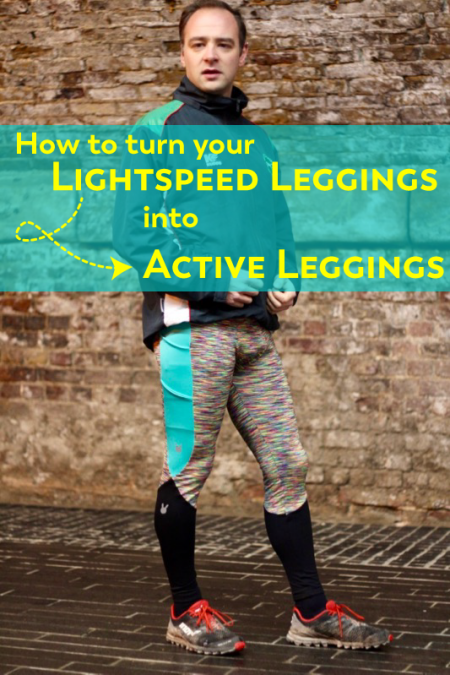 This week I’ll be talking about one of my favourite designs in the book, the Active Leggings! These started as a bit of a design progression from my super-popular Duathlon Shorts pattern, but as much as they may look similar, under the hood there are plenty of differences going on! 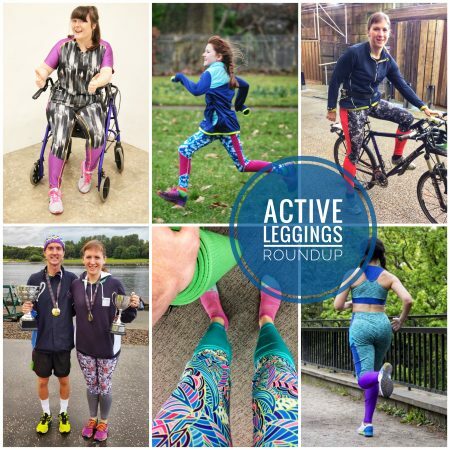 For starters, the Active Leggings have much wider pockets (as phones have grown SO much bigger since I released the Duathlons in 2014) that are constructed differently, too, and feature a full-length leg that’s got lower leg visual interest.